Why Are Leaf Guards Useful and Important for Your Gutters? The pursuit for an effective gutter system is a constant struggle for homeowners. 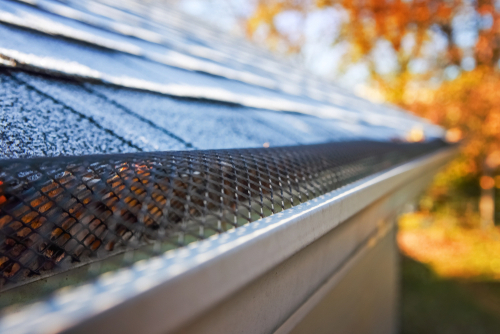 One of the latest solutions that make a great difference is leaf guards or gutter guards. Leaf guards can be made out of aluminum, vinyl, wire, or mesh and they can be quickly installed. They are installed over the whole gutter system to stop any debris or leaves from falling into the gutters. Even though leaf guards are another investment for the average homeowner, they bring many benefits which make them cost-effective and extremely useful. 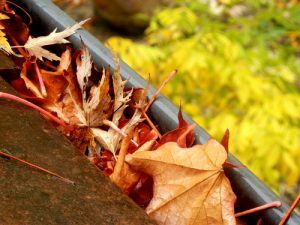 Leaves and debris can easily clog gutters which can cause even greater issues including mold, yard erosion, rust, and flooded basements. With pools of water in your gutters, you might end up with insect problems, smell, and bacteria that could be toxic. Gutters that get clogged have a shorter lifespan and might need a replacement sooner than you expected. Under normal circumstances, gutters need to be cleaned twice per year, once during spring and once during fall. When having leaf guards less debris will accumulate in your gutter system, meaning that you will have to clean it less frequently. 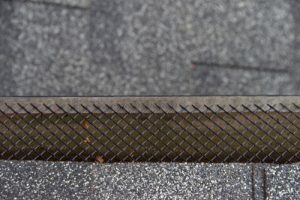 Additionally, the cleaning process will also be a lot easier and take less time and you won’t have to spend all day on the roof putting yourself at risk. No matter what kind of gutters you have, the open environment affects them constantly and over time they start to rust. However, the less exposed they are to debris and accumulating water, the slower they will deteriorate and start to rust. This is what leaf guards provide, as they ensure that there is a minimal amount of debris in the gutters, slowing down premature rusting and material deterioration. During warm periods accumulating waters can be extremely harmful. When water is stuck in the gutters during winter, it could freeze, leading to numerous issues. Ice will cause a complete blockage that will lead to side leakage, pressure on the gutters, deterioration, and even seeping directly into the walls. On the other hand, if summer dry periods surrounding landscape could be susceptible to fires. People that live in these kinds of parts know how little it takes for a fire to start and they need to take appropriate measures to protect their homes from being exposed. Without any debris and dry leaves in your gutters, you can rest assured that no floating sparkles will put your gutters on fire. Leaf guards not only make your gutters safer and easier to maintain, but they also save you a lot of money in the long run. They will drastically extend the lifespan of your gutter system and save you the money you would spend or repairs or replacements. Complete Gutters has all your Vancouver leaf guard and gutter needs taken care of. Contact us today to find out how we can help you.